This report is the result of a joint effort between three teams of researchers from ADEPAE (Action pour le Développement et la Paix Endogènes), Rema Ministries and SVH (Solidarité des Volontaires pour l’Humanité), and the technical team of the Great Lakes Programme of the Danish Refugee Council. It is the culmination of a reflection that began in 2010 within the framework of a regional partnership between these four organisations, and symbolises their desire to think together about appropriate solutions to the regional and cross-border problems of exile. The objective of this study is to bring new light on how Congolese and Burundian refugees live from day to day in exile in the Great Lakes region, and how they perceive and understand the options available to them in this context. The research examines the social, economic and political vulnerability they face on a daily basis, and considers how they appropriate the humanitarian assistance on offer and understand the rights pertaining to their legal status as refugees. The study also considers the informal strategies put in place by the refugees to overcome difficult living conditions and the obstacles that currently stand in the way of a return home after long years in exile, suggesting ways of moving forward that take into account refugees’ needs and aspirations. Using 231 testimonies gathered from Congolese and Burundian refugees in seven different sites in Burundi, DRC and Tanzania, the purpose of the research is to bring the position of the refugees to the attention of national and local politicians and decision-makers when they deal with the refugees’ problems and seek solutions for them. A second objective is to bring a regional perspective to the problems of displacement, exile and return, and to highlight the limits of the three political solutions offered by the existing normative framework: a voluntary return to the country of origin; integration locally into the host country; or resettlement in a third country. The experience of exile ends up having a profound effect on the identity and personality of a refugee. After ten, fifteen or thirty years in exile, the process of reshaping identity is complicated - the refugee is no longer the same person as when he or she left. The process varies according to the personal situation of the refugee and his or her journey into exile. Chapter 1 « Refugees in the plural » aims to demonstrate how different each individual case is. Social status, home and community of origin, knowledge of the country of exile and the local language, existence or not of a support system, family situation, depth of sense of identity, as well as the actual physical escape into exile all contribute to the unique case of each refugee. 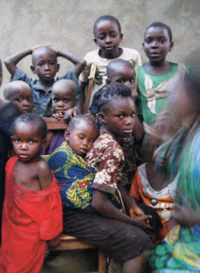 Chapter 2 « Day-to-day vulnerabilities » addresses the issue of the Burundians and Congolese precariousness. Whether in camps or in towns and villages, all the refugees interviewed said the reality of their existence is that it is inherently uncertain, the financial means at their disposal are limited, they suffer significant social discrimination, are frustrated with their dependence on aid, and have great difficulty envisaging a mid- or long-term future. Chapter 3 « Strategies for survival » analyse the strategies developed by the refugees to find employment and other means of livelihood. The energy of social groups and networks, whether ethnic, religious or political, helps to arm them against the major disruptions caused by displacement, so that they rebuild bonds and solidarity and overcome daily difficulties together. Chapter 4 « Perspectives for te future » reveals the persistence of numerous obstacles to a return home. The interviews suggest that the return options envisaged by the refugees, based as they are on a very personal analysis of their quality of life, cannot be reduced to a ‘one size fits all’ solution, and indicate that different and varied solutions must be found, adapted to the needs and aspirations of each individual. The end of the report is devoted to conclusions and recommendations.